Fennel seeds are an amazing natural trapped gas remedy with many benefits for better digestive function and overall good health. Eating these potent little medicinal seeds regularly can be especially beneficial for treating gastrointestinal problems like abdominal bloating, intestinal cramps, IBS and excessive flatulence. Here’s how the seeds of the fennel plant improve digestion and ease intestinal upsets, nutritional properties and health benefits, a few potential side effects to be aware of and the two best ways to use fennel seeds to help prevent or treat stomach pain, bloating, cramps and embarrassing gas. The fennel plant, scientific name Foeniculum vulgare, is a native perennial originating in the Mediterranean but now found worldwide. While the fennel bulb and leaves can be eaten, the nutrient rich seeds provide the most health benefits. Dried fennel seeds have an aromatic anise flavor and are often used in cooking, though as you’ll see ahead, they have significant medicinal qualities that makes then a powerful natural remedy for many health problems. In India, fennel seeds are incredibly popular as an aid to digestion and have been used for this purpose for thousands of years. A small amount of the seeds are routinely chewed after a meal, both to freshen the breath and to stimulate digestive function. Modern scientific studies on the properties of fennel seeds are showing that their rich volatile oil content is primarily responsible for these digestive benefits and ability to clear intestinal gas so effectively. Compounds like anethole, fenchone and estragole have antispasmodic, calmative and anti-inflammatory properties that relax contracted intestinal muscles, easing abdominal cramps, releasing belly bloat and allowing trapped gas to dissipate. Drinking a great tasting fennel tea, like this high potency one I use in my kitchen, or eating the fresh seeds is a simple way to prevent or treat many digestive problems like bad gas pains, belly bloat, stomach cramps and too much flatulence. The volatile oils in fennel seeds stimulate bile to start off digestion properly and their calmative properties also help prevent indigestion, acid reflux and other GERD symptoms. Chewing on a teaspoon of fennel seeds straight after a meal, or sipping on a strong fennel seed tea while you eat is an effective way to reduce painful heartburn and acid stomach discomfort for most people. Be sure to read about potential side effects of fennel seeds first before eating them regularly. Eating fennel seeds or drinking fennel seed tea has even proven effective for many people with more serious digestive disorders like irritable bowel syndrome. IBS symptoms include severe stomach gas pains, alternating bouts of diarrhea and constipation and ongoing bloating, cramps and excessive flatulence. This study in the American Journal of Gastroenterology found that patients with irritable bowel syndrome who took a dose of 8 to 12 seeds three times a day had a “marked improvement with less abdominal cramps, less dependence on laxative… and less visits to physicians”. These medicinal strength and organic fennel seeds with extremely high volatile oil content are the best on the market for treating IBS with fennel and highly recommended if you are suffering from irritable bowel syndrome. One of the causes of regular diarrhea is a build up of gases in the colon that pressure the walls of the lower intestine to release excess water, or prevents them from absorbing it in the first place. Chewing on fennel seeds after a meal can help reduce excessive gas that leads to diarrhea and some resources suggest drinking a strong fennel tea as a natural treatment. It’s far better though to minimize the possibility of diarrhea from built up gases by preventively using fennel seeds around meal time. Also be aware that chronic diarrhea lasting more than a couple of weeks is a serious health condition with many potential causes. Visit a knowledgeable healthcare professional if you experience ongoing diarrhea that doesn’t quickly respond to herbal cures like fennel. Constipation as an inability to have a regular bowel movement, less than three a week by medical definition, though any less than one a day is unhealthy. When you are constipated you feel tired, drained and low on energy as proper elimination is disrupted and your liver has to deal with accumulating toxins. Eating fennel seeds can be an excellent cure for constipation. The volatile oils in fennel, like anethole and fenchone, have a calming and anti-inflammatory effect on your entire gastrointestinal tract, improving the passage of digesting food and encouraging elimination. Alongside its calmative and antispasmodic properties, herbal medicine textbooks list fennel seeds as having cathartic, purgative and laxative effects for remedying constipation naturally. By eating the seeds of the fennel plant or drinking the tea you can stimulate the mucus membranes of your digestive tract, increasing intestinal motility and encouraging the peristalsis action which sends you to the toilet. While certain foods can definitely increase your instance of flatulence, most often really smelly gas is a result of the food you eat getting trapped or delayed in the colon and fermenting or putrefying there. Chewing on fennel seeds can help prevent this by improving the digestive process. As both food that is being digested, and any trapped gas, moves through your system more quickly there is far less chance of noxious compounds building up to breaking point. With the possible exception of activated charcoal (which does require more complex timing), fennel seeds, either eaten after your meal or made into a tea, are one of the best homemade stomach gas treatments available. Next let’s have a look at the nutrition in fennel seeds, more wide ranging health benefits, a couple of precautions to be aware of and then two ways to use fennel seeds to prevent both digestive problems and excessive flatulence. The seeds of fennel contain potent volatile oils like anethole, fenchone, chavicol, pinene, limonene, camphene and estragole with many health benefits. Rich in antioxidant flavonoids such as quercetin, rutin, hesperidin, apigenin and kaempferol. Other beneficial nutrients include beta-sitosterol, myristicin, chlorogenic acid and antioxidant carotenoids. Nutritional data lists fennel seeds as having 15.8 grams of protein and 14.9 grams of fat, predominantly monounsaturated fatty acids, per 100 grams. The is also 345 calories in 100 grams of the seeds. Around 20 calories in a more realistic tablespoon serving. Vitamin A, C, E and vitamin K are all present, as are various B vitamins such as B1, B6 and folate. A source of minerals like boron, calcium, chromium, copper, iodine, iron, magnesium, manganese, phosphorus, potassium, silicon and zinc. Eating fennel seeds also provides a good intake of fiber in your diet with 100 grams offering 39.8 grams of dietary fiber according to nutritional resources. Anti-inflammatory actions that can treat arthritic joint pain, skin conditions and many other diseases of inflammation. A strong antibacterial against both gram positive and gram negative bacteria. Fennel seed also has antiviral, antimicrobial and antifungal properties. Fennel contains many antioxidants compounds to combat free radical damage like quercetin, apigenin, kaempferol and various volatile oils. Boosts your immune system and is beneficial for the respiratory system, clearing phlegm and easing a sore throat. Premier digestion enhancer with strong carminative, antispasmodic, digestive and anti-flatulent properties for trapped gas relief and less farting. Eating fennel seeds regularly can help lower your blood pressure (though check side effects below first). It is also good for your entire cardiovascular system with antithrombotic activity and vasorelaxant actions. Promotes healthy skin with its antioxidant, antimicrobial and antifungal volatile oils, flavonoids and phenolic compounds. Good for hair growth and recommended in Ayurveda for preventing grey hairs. Beneficial for your eyes and a fennel tea eye wash is prescribed in traditional medicine for conjunctivitis and glaucoma. Fennel seeds are a herbal diuretic and homemade remedy for water retention, relieving the symptoms of edema such as puffy hands and feet. Volatile oils like anethole help lower your risk of cancer by inhibiting NF-kappaB — an inflammation triggering and gene-altering molecule. Chewing fennel seeds promotes natural weight loss. Read about the four different ways they do it in this comprehensive article on fennel tea. As is common with most potent herbs, fennel seed products are not recommended for pregnant or breastfeeding women. Some older studies suggest large doses of fennel seeds may have a mildly estrogenic effect, though more recent research is contradicting this and lists fennel as having quite low phytoestrogen activity. Occasional use of fennel seeds for treating bloating and bad gas pains should not have any impact on estrogen levels for either women or men. As a precaution, women being treated for hormone sensitive health conditions like endometriosis, uterine fibroids and ovarian, uterine or breast cancer are advised to avoid fennel seeds and many other types of herbs, and especially highly estrogenic foods like soybeans. Fennel seeds are best avoided by hemophiliacs as they may have an effect on blood clotting. Those taking medication for seizures should also not take the herb. Allergic reactions to fennel and its seeds are very rare, though more likely in those who are also allergic to carrots, celery or dill. Consult a doctor if you suspect an allergic reaction after chewing fennel seeds or drinking fennel seed tea. Finally, fennel seed essential oil is a highly concentrated product with specific applications and should not be used internally without medical supervision. Regular fennel seeds are powerful enough for relieving trapped stomach gas so there’s no need to use fennel essential oil for this purpose. The simplest way to use fennel seeds to prevent bloating and gas is to simply buy a bag of high quality organic seeds like these that I use and chew up around a teaspoon, or a least a good pinch, after a meal and swallow them. You’ll probably recognize the liquorice like aniseed flavor from Indian dishes. The taste is relatively strong and warming but not at all unpleasant to my taste buds. However, if you are used to everything you eat being sweet then the pungent flavor of fennel seed might take a little getting used to. That said, I certainly wouldn’t recommend eating fennel candy or other forms of sugar coated fennel seeds for digestive problems. Eating the seeds with honey isn’t a good idea either. Sugar is one of the root causes of digestion problems and too much flatulence with the way it promotes bad bacteria growth in your lower intestine. Really, not everything should taste sweet so do your body a favor and get used to more complex flavors. If you don’t think you could chew fennel seeds regularly, a far better option than fennel candy or sweets with fennel seeds is freshly brewed fennel tea (perhaps with a drop or two of stevia extract rather than sugar if you really need it). Fennel seed tea is quite refreshing and a very effective way to prevent belly bloat, abdominal pain and stomach cramps as it helps to release intestinal contractions and move along trapped gas. When you drink the warm tea it travels quickly through your gastrointestinal tract to where it’s needed the most so relief can be even quicker than eating fennel seeds. Start by crushing a tablespoon of organic fennel seeds with a mortar and pestle or the back of a spoon in a bowl. A seed grinder can also be used. Add them to a cup and pour very hot but not quite boiling water over them (turn the kettle off just before it boils). Cover the cup with a small plate and leave it to sit for 5 minutes for a regular strength tea or up to 15 minutes for a stronger one. Strain it if you like (I rarely bother) and sip for quick relief from trapped stomach gas, intestinal pain and tummy bloating. There are also high strength fennel seed teas available which are convenient for work or traveling. After testing quite a few of these, I believe Heather’s tummy tea is the most effective and the hundreds of positive reviews seem to agree. I hope you’ll give fennel seeds or fennel seed tea a try if bad gas pain, bloating, stomach cramps and other gastrointestinal problems like IBS or GERD have been ongoing health issues for you. Some people may find it surprising, but often natural herbal cures like this are simply more effective than pharmaceuticals (and with a lot less side effects). Surely it’s worth giving traditional medicine like fennel a try before turning to harsh drugs such as antibiotics. Fennel seeds actually have many more wide ranging beneficial properties, including lowering your risk of many diseases, improving your appearance, helping you get to sleep and even reaching your ideal weight. You can read about them in detail in this popular article on the many health benefits of fennel tea. Have you had success with using fennel seeds for intestinal cramps, abdominal bloating, painful stomach gas or other digestive issues? I’d be interested to hear your experiences with this powerful homemade remedy. I woke today with serious bloating and LOTS of odorless farts. This is very unusual for me. This was the worst I’ve EVER experienced! After finding your site via Google, I got fennel out of my spice cabinet (at least 5 years old). started chewing seeds 4 or 5 at a time, maybe 30 total and RELIEF!!! Within 30 minutes I started feeling better. after an hour felt mostly normal! I wish I had learned this 30 years ago. Thank for putting this site together. PS still reading more, you’ve done a good job here! Thank you for sharing this information in detail. Hi, Thank you for such an informative article on remedies for flatulence. I suffer really badly from it , mostly it seems when I’m in bed, I’m not sure if it’s because I’m lying down. Anyway, last night I made a cup of fennel tea, it worked wonders, even that does not really express the my feelings properly. I was over the moon this morning, when I realized how well it had worked, thank you so much. I just hope tonight I do not go back to my having my problem but rest assured I will be having a nice cup of fennel tea. Would it be OK if I had two cups a day, ( my wife suffers the same problem but with her it’s worse during the day), and I thought I’d have a cup with her during the day and also one in the evening. With your experience is just one cup needed for each 24 hours, if so, is it best to have it in the morning or the evening. Hi Allan and thanks for your comments. I’m glad fennel tea is working so well for you and I see no problem with having a couple of cups a day. The effect works on the digestive system so it probably won’t last all day but it’s so safe that cooled fennel tea is even given to infants for colic. Hi Zaak and thanks for your positive comments. Fennel seeds are indeed one of the best flatulence cures around and well worth having on hand. I’m impressed that even 5 year old fennel seeds worked this well. Great site and great information. I will need to do more research on fennel seeds as I do have fibroids but if I can get away with drinking this periodically when I have gas then this is amazing news! I have had chronic and acute indigestion for almost a year. I’ve had a stabbing (undiagnosed) pain in my side for the same length of time. I was beginning to think I was going to have it for the rest of my life. It wasn’t until I chewed fennel seeds that I got relief. I’m looking forward to resuming a few activities that I couldn’t do because of the indigestion. How much and how often can I safely chew fennel seeds each day? Fennel is considered very safe and is even given to babies in tea. There are a few precautions in the article https://flatulencecures.com/using-fennel-seeds-gas-cramps-bloating but chewing the seeds regularly is fine if they are giving you relief. I’m glad chewing fennel seeds worked so well for your indigestion. They really are a great herbal treatment for digestive problems and many people find them much more effective than prescription drugs. I used to take charcoal tablets to try and help my gas & bloating, but had to stop as it interfered with The Pill. Now I am very cautious with what I take, and this may be a silly question, but I wonder if this would be safe to take while on The Pill? Great advice here. Surprised, however, to see that you advise breastfeeding mothers against fennel. In fact fennel is well known to increase milk supply and is recommened to nursing mothers with inadequate milk supply. It’s a great herb! My son is 16 years old and for the past three years he’s been suffering from Ulcerative Colitis. Lately he’s been also suffering from some nasty flatulence that gags everyone near him. Currently he is in drug induced remission and I was wondering if organic fennel tea would be safe for him to take. you are a bloody genius. I have been suffering from growling and abdominal pain for the last 2 to 3 months and was starting to get sick and worried about it. I just took a handful of them and chewed them for 20 mins and swallowed them. I see ISTANT RELIEF, i have been taking medication for last 4 weeks and nothing worked better than fennel seeds. Thank you soo much. How does the effect of fennel seed therapy interact with folks who suffer celiac disease? Wife and daughter both suffer from celiac. On another note – someone suggested cooking beans with fennel to reduce the gas causing problem. My question is how much fennel for a cup of beans that are pre-soaked overnight and then cooked the next day/. I am in the same league with others in this fight against intestinal gas which has been with me for over a decade with regular episodes of hightened pushing and throbbing sensation in chest and abdomen region. In pursuit of an alternate therapy I will give it a try and shall share my experiences (tried other herbs/home made medicines to no result). What I would like to know is that will fennel seeds be potent enough as compared to raw seeds if they are dry fried (without oil) for few minutes to make them crispy and then chewed. As the volatile oils in fennel seeds are what helps them prevent intestinal gas I would think you wouldn’t want to fry them too much and only on a low heat. You might try comparing both fried and fresh fennel seeds and seeing which is better as relieving intestinal gas for you. Fennel seeds are gluten free and would not be a problem for celiacs. Actually, many celiac resources recommend fennel seeds. I’ve written about beans here https://flatulencecures.com/baked-beans-fart and generally a teaspoon of fennel seeds in pre soaked beans should greatly reduce though not completely eliminate gas from beans. Hi Rohit and thanks for your comments. Fennel seeds really are effective for abdominal pain and quite quick acting as well. I’m sure if drug companies could patent them they’d be the new (and very expensive) wonderdrug. With serious conditions always check with the treating doctor first but fennel seeds are often recommended for Ulcerative Colitis. I agree but when noting possible side effects I usually go straight from the medical texts to cover the article. Has anyone given it to babies. I have a 7 week old baby with terrible colic and trapped wind. He also has reflux which he has been prescribed ranitadine. Thanks in advance. I’ve just had a cup of twinnings fennel tea, with the hope it helps him. I have been using fennel seeds for few years, they have helped me with my indigestion and having regular bowel movement daily. I have also notice down size (reduced inches) all-over aroung hips, thighs and waist. I use dry light roasted(at home without any oil) I am very happy with the result and love the taste and smell of the seedsand have no problem chewing fair amount in a day (few table spoons). now my question is I am trying to conceive and I want to know if I should stop these seeds completely until I become pregnant and have the baby or what would you suggest is safe way for me if I don’t want to stop them completely. appreciate any comments or suggestions. I think it would be best to discuss this with a health care professional. There is advice to not use large amounts of fennel seeds during pregnancy though, as is common with herbal treatments, there’s no specific reasons given why. Yes, weak and cooled fennel tea is a commonly used cure for colic in babies and usually very effective. thank you for the reply, I will make an appointment with my doctor. I eat about 100 gms fennel seeds per week. Is it okay to consume this much? Or any disadvantages are there ? Hi, I too have recently been having problems with gas in the evenings. I just bought some fennel seeds and took them tonight after dinner. So far so good! I have been reading some more on them since I took them and came across an article that said you should buy the green kind, not the yellow kind. The ones I got were in the spice section of target, and they appear to be the yellow kind. However, they do still taste like licorice. Are the benefits lesser if they are not the green type of seed? What are the differences, as far as the flatulence benefits, between the two? I just ate some fennel seeds.very plesant tasting.. i will let you know how the seeds are helping.I thank God for the all the different ways to get rid of the smell of flatulence..
Hi, i am hypothyroid patient can i use fennel tea oftenly? I am loving it, because I seem to have been having trouble without let up. My stomach has hammered me now since 2012. Most say diabetes caused the problem. Then the opinion of course changed to, gastroparesis. Finally because they (Mayo) termed it idiopathic. Which is another way to say, they have no idea. The fennel did give me some relief, this all developed after heart surgery. The Rothschild family responsible for the pharmaceutical industry is slowly crumbling. People are waking up, thanks to God and people like you and Joel Wallach. Their chemicals never cured anyone. Just made them rich! The only thing any good was antibiotics and pain management medicine. Natural cures are the only real cures. These doctors are not making anyone better. They give you 1 medicine for a single problem, then the medicine they gave you, makes a. Residual income out of you! hello james. i’ve been suffering from constipation for more than 2 years now. i’ve tried everything and consulted all the doctor possible. i just wanted to know if fennel seeds can help me to relive constipation. Thank you for the info. I am on methadone and literally can’t have a bowl movement without drinking nasty magnesium and I just have tried everything. Will fennel seed help with this and if so how do I take it? Thank you for this article!!!!!!!! I think it’s a miracle and will keep a bottle of organic fennel seeds in my bag! I had lunch at the Cheese Shop and had a bowl of their black bean soup…it hit me like a train and I had really bad embarrassing gas …the kind so bad that you have to let it out and hope no one comes to talk to you at the same time ! I googled and stumbled across this article and immediately ran to my seasonings cabinet and started chewing fennel seeds! Then I remembered! The local Indian restaurant has these in a bowl at the cashier counter like “after dinner mints”. Now I know why! Indian food can be quite filling and bloat your stomach! It actually worked within 10 min of chewing and swallowing. I was so thrilled I texted my closest friends and family! They were all pleased that I shared this info despite how embarrassing the topic might be. Thank you, thank you & thank you! Have read your informative remarks from people who have tried fennel seeds, I am about to start trying these as I have only had the copious flatulence and awful odour recently. I had a twisted bowel operation in October and had no problem so this is a really annoying thing to happen. Will let you know how it turns out, I am really hopeful!!!! Hello! I purchased the fennel seed powder and thought I read somewhere to add it to warm water a couple of times a day. I can’t find the dosage anywhere. How much do I use and how many times a day. also, what is the dosage if I were to put it on my daily shake? Fennel tea may help intestinal muscles and preventing blockages. Fennel seeds can help by relaxing the smooth muscles of the intestines and allowing blockages to release. They should both work, though larger greener seeds may be slightly better and taste a bit sweeter. It generally comes down to volatile oil content so freshness is important. Heathers select fennel seeds based on high volatile oil content so these would be ideal for next time. i have just started trying fennel seeds with the hope of relief from bloating and abdominal cramps. I have been hospitalized 5 times with bloating and terrible cramps. I have no constipation or diaharea just bloating and pain. I cannot release the gas that builds up which is responsible for the pain. Has anyone had any sucess in getting rid of trapped wind with Fennel seeds. I have had exhaustive medical tests and diagnosed with IBS. Apparentely my colon goes into spasms which is responsible for the pain. No medication has ever worked. Sorry to hear of suffering with bloating and abdominal cramps. It’s a bit of a hassle having to remember to take them but when bloating is this bad preventing it would be worth it. I haven’t used the fennel seed powder personally and would be interested to hear if you think it works in a smoothie without hot water to release the oils. Perhaps being powdered it is fine. I’d imagine you’d need less of it in this form. Perhaps start with a third of a teaspoon and then a half if this is well tolerated. Hopefully fennel seeds can help. It does sound like the bowel situation is causing delays in elimination, hence the awful odor. It’s true that people don’t often like to talk about these embarrassing problems. But it can happen to anyone and it’s great that you shared how well fennel seeds worked for gas. Fennel tea is generally considered thyroid boosting but I would consult a healthcare professional on this for your individual situation. Hi Brigitte and thanks for your comments. I think fennel seeds taste good as well and should definitely help with intestinal gas issues. That is quite a lot. Have a look at the potential side effects half way down here https://flatulencecures.com/using-fennel-seeds-gas-cramps-bloating and see if any apply to you. Wow. I had foul smelling gas about an hour before we were due to have guests. I chewed about a teaspoon of seeds and after 15 minutes I could feel the bloating reducing amd after half an hour the bloating was gone and no more smelly gas! WOW WOW WOW! Thank you for the article. It really works like a miracle ! I suffer from IBS as well as a permanent partial obstruction of my small intestines, a perfect recipe for trapped gas and terrible bloating. This is such a natural remedy, cheap and tasty as well. I tried it for about 5 days now and can feel a big improvement. :)………… GUYZ START EATING AND DRINK FENNEL SEEDS YOU WILL SAY BYE TO YOUR MEDICATION FOR THE GASTRIC PROBLEMS…. Can fennel seeds be used for GERD? 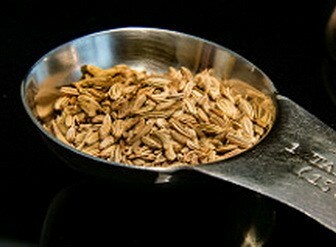 Fennel seed tea can be a very good treatment for GERD and acid reflux for most people. Hi Kuki and thanks for the good advice. I agree chewing fennel seeds or fennel seed tea can be very good for GERD. Glad fennel seeds worked so well for you for trapped gas and bloating. I am suffering from indigestion, bloating, flatulance and abdominal pain from last 3 years and am not getting well after done so many treatments. What shud i do now to get rid of this problem. I had been suffered a massive abdominal problem which was been due to acid accumulated in the stomach by diagnosed. Previously doctor prescribed lansoprazol, Buscopan and mebeverine pills. If you believe me none of those medicines worked to reduce my problem other than various side effects occurred due to such chemical made drugs. By my own thought. I started to take Fennel seeds. I am quite well now. How is this magic. I was also wondering that I remained sick since couple of years. How am I feeling better? Yes absolutely 100% recovered. Some time I feel this is GOD blessing for us if we use herbal compare to much better than allopathic medicine. Fennel seeds are an effective for Chronic IBS. Bloating, wind traps. It is also so good to get rid of Gas and smell. It is helping for many digestive problems to eliminate completely. How to use? It is simple then can be 50% more effective than normal. I use to take after breakfast, lunch and dinner a little chunk of ½ tea spoon and chewing under my teeth. Happy Shappy!!!!!!!!!!!!!!! Hi Nadeem and thank you for your helpful comments. It sounds like fennel seeds have been a real lifesaver for you. I’m really glad to hear they worked so well. What about fennel seed in a capsule form? Is it safe to take one capsule three times a day after meals? It would be safe but I don’t think as effective as fennel tea or chewing fennel seeds to release the volatile oils. Is it safe to swallow the fennel seeds after chewing? Will I still get the benefit if I chew the seeds for a while then spit out the seeds? I don’t feel comfortable swallowing those seeds. Great website, thanks! It’s fine to swallow the seeds and there would likely be a bit extra benefit. The important element though is the volatile oils which a good chew should release. if you’re not having them in a tea then it’s good to have a glass of water after chewing fennel seeds to help move them to where they are needed. I’ve been drinking fennel tea for just 3 days. The calming effect on my lower digestive tract was almost immediate. I really glad to hear fennel tea is working so well for you. I definietly think it’s much better than drugs for digestive problems. I was looking for a local source of fennel seeds but all I could find (Whole Foods, Pharmaca, and CVS) was NATURE’S WAY FENNEL SEED, 100 CAPSULES. Is this type of formula (in capsule form) as effective as the raw seeds? I personally think the seeds are better than capsules as the active ingredient is the volatile oils that may be reduced during processing. Is fennel indicated for diverticulitis? Possible risk of seed particles lodging in there? I’d suggest fennel tea https://flatulencecures.com/what-is-fennel-tea-good-for which is often recommended for diverticulitis rather than the seeds. Thanks for all the advice I get from your team its really helpful ,i had been having problems with my digestion fr long time ad i trayed funnel seeds ad am fantastic ,thnks onces more . Check with your doctor but fennel tea is considered a mild herb with few interactions. Even so it’s always best to drink herbal teas away from medications. Tried my husband with the seeds but he can’t stand chewing or drinking the tea, he is picky ;-) can I cook with them or does this take away the effectiveness? Hey great article. I was just wanted to clarify, you are saying that the candied fennel seeds will not have the same effects on flatulence ? Just because I already have some and they are quite tastey lol. So if I can get away with just using these I will, if not I will probably go and find some plain ones. Thank you. Have a good day! I was diagnosed with erosive gastritis & barretts, it is safe to use fennel seed? What is your opinion in taking carom seed as well? Fennel seeds can be added to cooked dishes, though I’d think excessive boiling would diminish the important volatile oils. Perhaps with the tea a better quality one would help https://flatulencecures.com/where-to-buy-fennel-tea Most people comment that they enjoy the taste of a good fennel tea. Perhaps they would help, but as a flatulence treatment I’d avoid anything with added sugar which only feeds the bacteria that cause the problem. In a way candied fennel seeds are half helping and half contributing to the problem. Carom seeds have a similar effect and combining the two would likely be even more beneficial. I have hypoglycemia. Can I use fennel seeds or will it lower the hypoglycemia? This is in reference to excessive gas. Check with your doctor but a cup of the tea a day taken well away from medicines would be highly unlikely to cause problems as it’s effect on blood sugar is mild at best. I don’t like chewing the fennel seeds – will it work if I put a handful in yogurt? Or do they have to be activated by chewing or dissolving in a tea? I have been reading your articles and they have been very helpful. I been diagnosed with a fatty liver, I am 60lbs over weight. The doctor said that the only cure for it is to lose weight. As hard as that is… I deal with some pain from the fatty liver I can’t over eat. I have no gallbladder. What can I use that is natural to help my liver. I am going to try the Fennel before I try the charco caps for my bad gas issues. Hi Sonia. Sorry to hear the health problems you’ve been having. Milk thistle powder, parsley and beet juice are three of my favorite liver tonics to look into. Fennel and the other bad gas remedies on this site can definitely help with digestive issues which can also help with weight loss and ease the burden on the liver. For best effects fennel seeds should be crushed up or put in very hot water to release the volatile oils. I went out to eat at a delicious Italian restaurant this evening and ate one too many garlic knots (probably 7 or 8 to be honest), as well as a very large and creamy/buttery pasta dish and 3 cups of wine. I usually eat pretty clean and healthy so this was rough on my stomach. I woke up in the middle of the night feeling bloated and extremely queasy. Low and behold, I was out of Tums. I googled what to do to get rid of the pain and decided to try fennel seeds. I felt relief after 3 minutes of chewing the fennel seeds. I went from feeling like I was going to get sick to feeling 100% better. Thank you so much! Thanks for your helpful comments Kiera. It’s good to know fennel seeds can help with such a difficult digestion problem. Okay…so I am a mom of three and had abdominal surgery two years ago which left me with severe bloating and gas issues! I eat extremely healthy and live a very healthy lifestyle but nothing has helped. I seriously couldn’t take the bloating and gas pain anymore and by chance stumbled across your article just this morning. I ran out to the store after suffering all day with the worst pains and grab some fennel seeds. I started chewing them in the store as I walked out, literally. By time I got home 15 minutes later the bloating had started to reseed in the gas pains getting better already! Here I sit two hours later with the most deflated Tammy I have had in years and no pain! I am completely in awe! For two years I have suffered with this embarrassing problem, and then I see your article. I cannot believe it! I can’t wait to share this with The world! Thank you!!!! Thank you for your article. If you brew the tea is it just as effective if you drink it chilled later throughout the day? I would think it should be though it would depend on whether the important volatile oils evaporate or not. Covering or refrigerating would reduce the chances of this. It’s really great to read comments like yours and know that something I’ve written has helped. I wish many more people knew about the power of natural remedies and how they are often much more effective than pharmaceuticals. I appreciate you sharing the article and think you’ll find your overall health will improve even more now without the gastrointestinal distress which would have been affecting proper digestion. salad.I am so glad I tried the seeds. AS THE QUEEN OF UNCONTROLED GAS I WOULD DO ANY THING TO CONTROL MY BODY. I CHEWED THE FENNEL, IT TASTE LIKE ROPE, HEMP, BUT I WILL CONTINUE. IN A VERY LARGE CUP. THEN YOU HAVE A REAL TEA. KEEP THE WIND DOWN FOLKS. Hi, just thought I’d pass this along. Years ago I suffered from constant gas. I went from gastroenterologist to gastroenterologist with no luck. I tried everything from flagyl to zanax (they thinking it was stress related or in my head). I also had a colonoscopy and another test where they put a tube down your throat looking for celiac disease. It wasn’t until I did my own research that I stumbled upon candida in the gut — a book called The Yeast Connection written by Dr. Robin Cook, I believe. Everything fit. His answer was oral nystatin. I went to an allergy doctor explained everything. She prescribed a months worth of oral nystatin. By the end of the month — my gas was completely gone. In case you can’t get a doctor to prescribe that for you, his other recommendation is odor free garlic supplements in high dosages. Just thought I’d pass this along…(no pun intetnded)! Hi Kelly and thanks for your advice. Candida is indeed a hidden problem for many people and can play havoc with your digestive health. Thank you for sharing what worked for you. This sounds like a serious intestinal problem that should be treated by a specialist. Fennel tea may help to lessen the symptoms but I would get this diagnosed and treated. 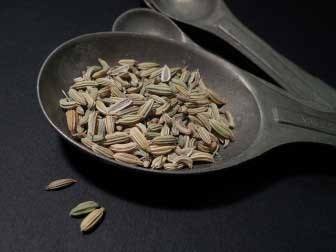 I use fennel seeds when making my curries and just started to take a quarter of a teas after my evening meal swallowed down with a few gulps of water. It’s amazing how it eases any bloating and like you say helps to expel trapped gas! I’m sure fennel is used to ease babies colic troubles as remember buying some in the 70’s for my son. My doctor prescribed peppermint capsules which also helped but I now prefer the fennel. Hi Leone and thanks for your comments. Fennel seeds are indeed really effective for trapped gas and many people are surprised how well it works. Exacly, Louisa, I had the same comment! It saved me many an unhappy moment when there was not enough milk coming down, making a hungry baby happy fast!! It works amazingly well for increasing milk supply very quickly. Hello, I must say I was skeptical because nothing Ive tried worked for trapped gas and bloating. I was completely miserable all of last night. Mine is IBS and it just happens sometimes and I usually don’t know what causes it. It usually last a few days when it occurs and really affects my life. I read this article doing research. I don’t know how Ive missed it in the past because when this flares up, I comb the internet looking for any help. Well, I read this a couple of hours ago and went straight to the store and bought some fennel seeds. I chewed a small pinch in the parking lot and by the time I had gotten home a few minutes ago, I can already tell a difference. I don’t “love” the taste but I don’t care! haha! It almost feels like a miracle! It isn’t completely gone, but significantly better! Thank you so much! I’m glad to hear that fennel seeds worked for your IBS symptoms. A good strong fennel tea like the one recommended here should work just as well and perhaps faster https://flatulencecures.com/what-is-fennel-tea-good-for I personally enjoy the taste of it. I make a Fennel tincture that I mix with warm water to make a gas-busting tea or cordial. :) It works so well! Thanks so much for this comprehensive write up on fennel. I suffer from IBS, and have found it very beneficial to eat fennel seeds as well as have the tea. In desperate moments I have lived on fennel powder and washed it down with warm water (a real short cut). Thanks for your positive comments Alexandra.